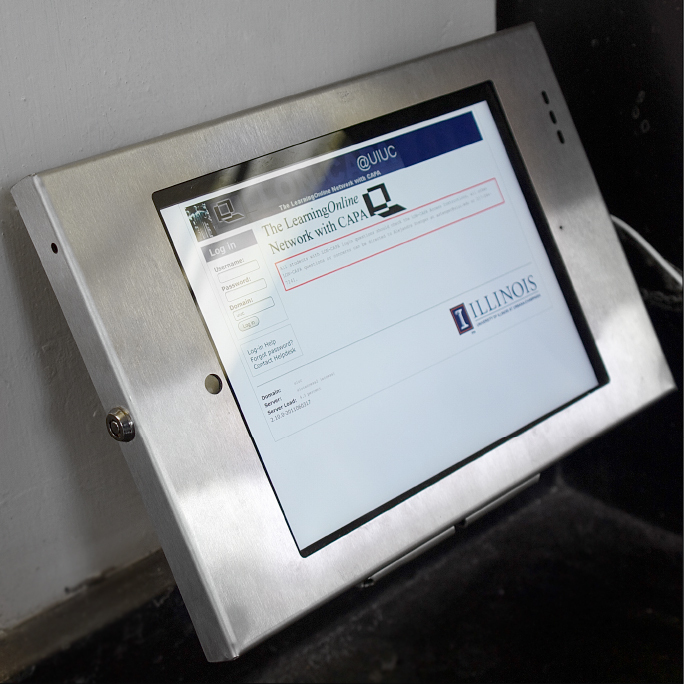 The Chemistry Department at the University of Illinois uses Kiosk Pro to increase the time that undergraduate students get to spend hands-on in the lab without increasing teaching assistant time. 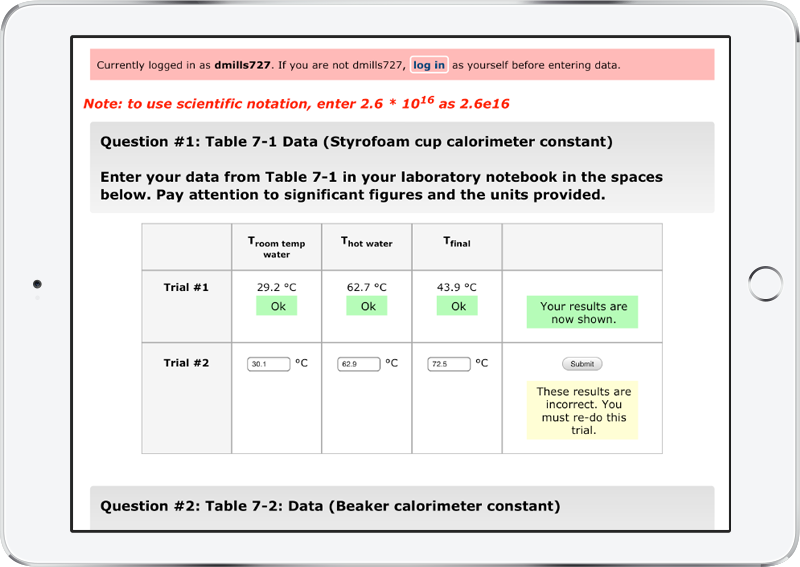 Kiosks are used to collect data from experiments and provide immediate feedback for students, who benefit from not having to wait days or weeks for grading. How are your students using the kiosks? Our kiosks are set up in four different chemistry labs for undergraduate instruction. In our organic teaching labs, the kiosks provide access to videos on demand for students who need to refresh their memories on particular lab techniques. How does this interactive technology impact a student's experience? Our kiosks allow us to put technology where our students need it. Kiosk Pro lets us make sure the technology is used for what we put it there for. In the organic labs, these kiosks are the primary resource for students to review procedures while working on their experiments. In our general chemistry labs, students are able to use their own laptops or mobile devices to enter their experimental results, but we provide the kiosks for convenience or for students who may not have their own devices, and they typically get a lot of use. Which features of Kiosk Pro have you found most helpful in setting up your kiosk? Tthe ability to keep the students on task is essential. We provide our kiosks as a service and rely on them being up and running and available whenever a student needs them. Where can we find out more about your project? We have additional information about the project, including more on the open-source course management system we used (Lon-Capa), on our site here.